Publisher: Geoffrey Nevine April 02, 2019 This information is provided solely as a guideline. There's more to Vaseline than just soothing chapped lips and cracked heels. This evergreen product, a staple at every household, has many surprising benefits and is way cheaper than your beauty products and medical gels available in the market. If you've tried everything under the sun to soothe your baby's diaper rash, we insist you go for this one last product. Vaseline works like magic on your baby's diaper rash and not only would it heal any existing rash, it would also prevent newer ones from occurring. Apply a thin layer of Vaseline® Jelly to the rash – this will lock in moisture and keep out wetness – helping to soothe irritation and help prevent the rash. Even minor cuts and burns can be painful, but applying a layer of Vaseline® Jelly helps protect your skin and locks in moisture. One of the best Vaseline® Jelly uses on the face is to treat dehydrated skin. Apply Vaseline®Jelly to problem areas. It will help lock in natural moisture and oils that your skin needs, giving you healthy looking, hydrated skin. Vaseline® Jelly helps protect your skin from harsh weather conditions, such as strong winds. Before you go outside, put a thin layer of Vaseline® Jelly onto sensitive areas, this will form a protective barrier, which locks in moisture to help protect your skin from the drying effects of the sun, wind, and cold. Remember, you should also use sunscreen with SPF 30 every day to protect your skin from the signs of sun damage. Vaseline® Jelly rejuvenates dry, tired skin to help keep it looking youthful and radiant. The jelly creates a sealing barrier on the surface skin locking in moisture and protecting your skin’s natural recovery process. The natural cell renewal process allows for dry, damaged skin cells to flake off. Vaseline® Jelly is 100% pure and it can even be used on sensitive areas, like around the eyes, to help reduce the appearance of fine lines and dry, flaky skin over time. Most of us know the importance of using a daily moisturizer. Maximize the benefits of this daily ritual by using a product that seals in essential moisture where it’s needed. Vaseline® Jelly locks in moisture deep within the stratum corneum (the surface skin), where dryness occurs, to replenish moisture and help heal dry skin. Apply Vaseline® Jelly on the face, lips, or body to keep skin hydrated throughout the day. If your nails are lackluster and cuticles that are as hard as stones, Vaseline is your go-to product and one that would solve all your woes. And you don't need to apply it three-four times a day. Just slather a generous amount of Vaseline over your nails and cuticles before you hit the bed and leave it overnight. Wake up to smooth skin and shiny nails the next morning. If you or your child's nose has become sore due to a cold that refuses to go, applying vaseline on your nose and around the nostrils would heal the sore skin and also alleviate the pain associated with it. Now, this is a home remedy that your mother must have told you about, but Vaseline doesn't only soothe cracked heels, it can repair dry and chaffed skin as well. You can also use to it soften the skin around the knees and elbows of your toddlers that has become dry and damaged due to all the running around they do in the day. You can apply a generous amount of Vaseline on the knees and elbows of your toddlers during bedtime and leave it overnight. Wash off in the morning. Did you know Vaseline can make your expensive leather shoes (and even bags) shine like new again? All you need to do is scrub off your shoes or bags to remove the dust and grime and apply a think layer of Vaseline over them. Wipe off with a soft cotton cloth and viola; your bags and shoes would be new again! If you are prone to getting shoe bites whenever you wear new shoes, we have a magical remedy that would stop your pain forever! Moisturize your feet before you wear your shoes with a little Vaseline and say no to painful shoe bites forever! Dab the tip of your index finger in a small amount of Vaseline® Jelly and smooth it over the arches of your eyebrows to keep them looking tamed all day long. 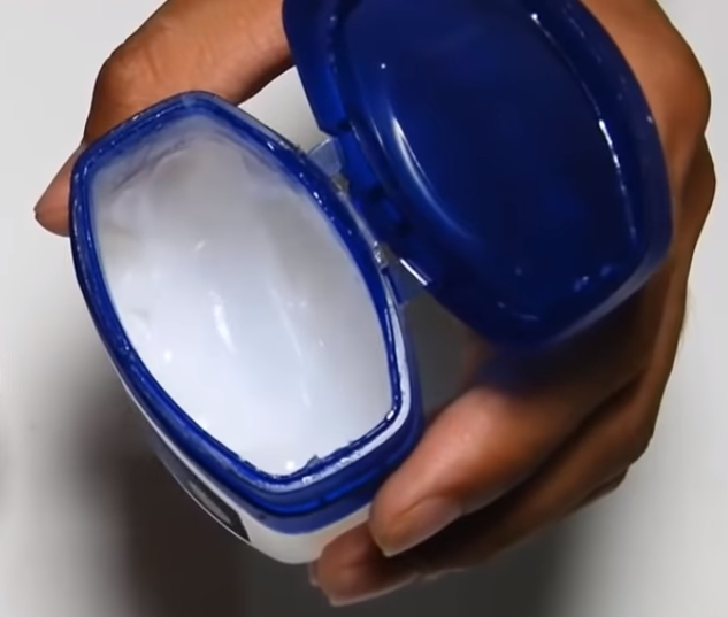 Amazed by the many Vaseline® Petroleum Jelly uses? It is a versatile, useful addition to your usual beauty skin care routines. Make sure you’ve always got a jar of ‘Wonder Jelly’ around the house!